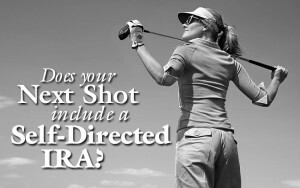 As you may know I was looking to change from a traditional IRA to a Self-Directed IRA. Well, I have made the move! It is not that I was angry with my stockbroker, or discouraged by the results that they returned. In fact, just the opposite, my former broker is a wonderful friend and has a firm grasp on the investing industry. I wanted options, more of them. I see no reason why, with a traditional IRA, the only investment options that are available are what Wall Street has to pedal? I want options, I want to be in control of my own financial journey. I don’t particularly believe Wall Street is set up to help the little guy, we are not the market movers. I accept the fact that many people would rather just turn over their savings to a “qualified professional”, I get that! What if that person is not a qualified professional, sure they may hold the necessary licenses, but do we truly know if that broker could even balance their own checkbook? The answer is a resounding NO! Your broker may have the best of intentions, and I am not knocking brokers, please don’t misunderstand me. The reality is, these brokers have goals provided by their home office, to sell a certain amount of XYZ mutual fund because it insures the brokerage house a higher fee. Is that in the best interest of me, the lowly client with a small asset base? I also think brokers are forced to put you in mutual funds because that is the safe thing. Safe for them and their home office. I wish they would think outside the box, but due to SEC regulations and rampant lawsuits they have to be fearful. So they take the safe bet; mutual funds, and they push the ones that pay the best commissions. So, I will take financial matters into my own hands. I have placed all my funds into a Self-Directed IRA. After all, I know my risk tolerance, I know my objectives and I have the utmost confidence that I will be able to achieve them. I don’t plan on using mutual funds to achieve my financial goals. I will look for alternative investments, such and tax liens, Real estate, and cattle. So, I rolled my IRA funds over to a self-directed custodian. The cost for this was $130, which was simply the cost of opening up an account. I had two mutual funds (gold funds actually) which stayed in tact, the self-directed custodian simply facilitated the change from Raymond James to TD Ameritade. I didn’t want to sell out of those gold funds right now, because the fund value is down, due to the price of gold being down. I think gold will be back one day, because it is the only stable money we have. The self-directed custodian will add funds at my request to the TD Ameritrade account. That is one investment vehicle. You can have as many as you want, or at least as many as your money supply will allow for. That is what I like about self-directed IRA’s, your options are not limited. Now, there are restrictions and I will write about those in upcoming posts, but for now, this is the best option for me. Also, in future posts, I plan on documenting my investment returns, provide you with investment ideas, and hopefully encourage you to put your investments decisions into your own hands. Does anyone have any experiences with a self-directed IRA? © 2012 to 3591 Critical Financial. All rights reserved.